We might be small, but we have a huge heart for all things yarn related! - Rotating Local Indie Dyed Yarns! As well as needles, notions, hooks, kits and gifts from all over! to bring in locally and/or independently made bags, notions, gifts and more. Our indie yarn selection is growing and changing....come by and check out what is new from the independent yarn dying community! You can also purchase Ravelry patterns through our shop! We love helping you find your next project! 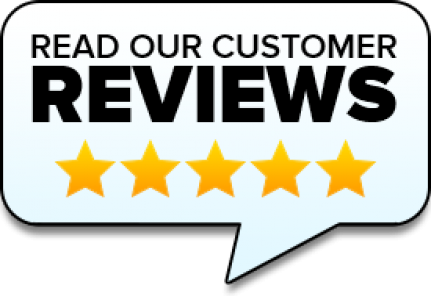 We have the ability to order in anything we don't have in stock, so please let us know if there is anything you are looking for! We love giving back to our community too! We are a drop off location for Knitted Knockers, Adult Hats & Scarves for our Local Food Bank, Infant Hats for local hospitals and we are looking into what it would take to be involved in the Octopus charity for preemies! 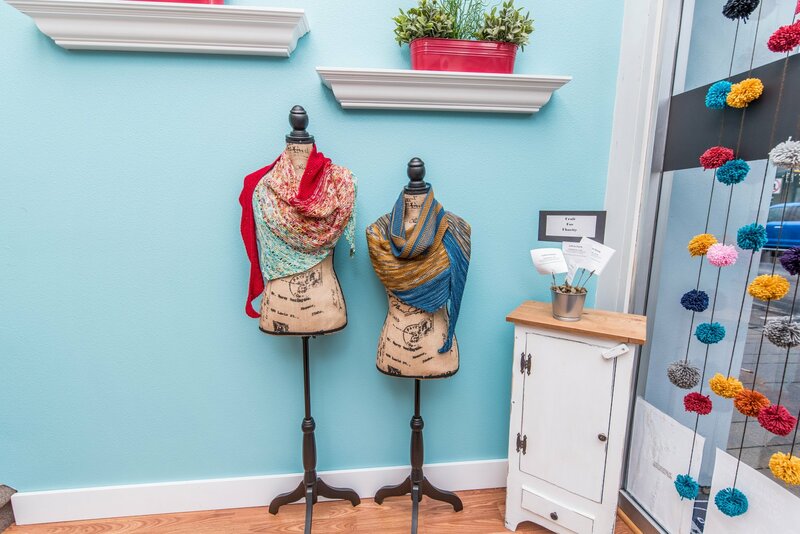 We look forward to being your Local Yarn Shop! If you are planning a daytrip to Auburn, we have some fun suggestions of what to see and do while you are here! 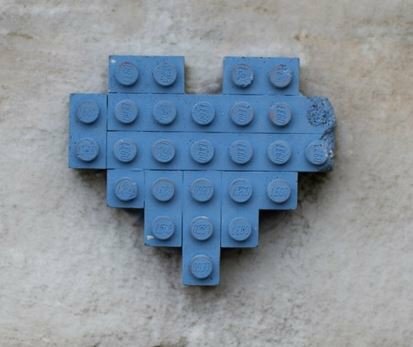 Check them out by clicking on the Lego Heart! A Little Knitty began in 2008 when Jen, a knitter since she was 12 years old, began selling baby hats to friends, after she created some hats for her newborn son. Over the years she attended many craft shows where she sold the finished hats. As demand increased for the hats, her little hands just couldn't keep up. Knitters began asking for her one of a kind patterns, so she started publishing them in 2014. It was the first time she recognized that although she loved everything about knitting, her passion was in designing, dreaming, testing, inspiring and teaching! 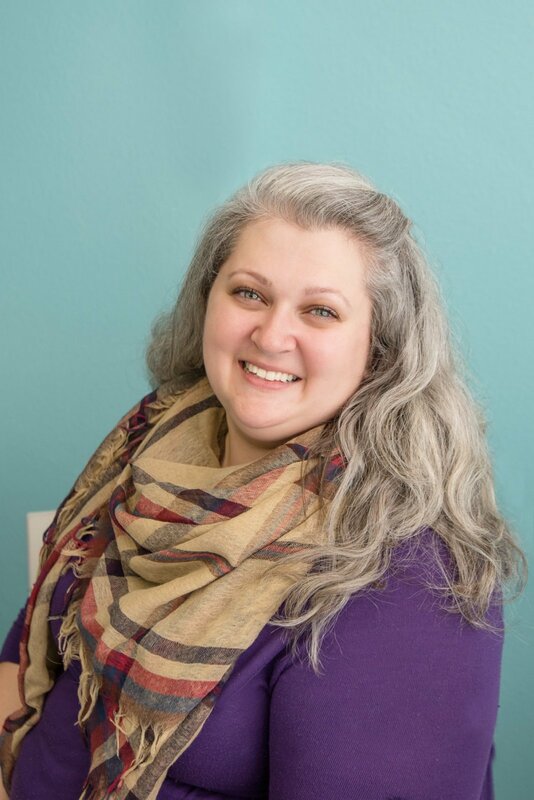 She now distributes patterns on Ravelry & PixieFaire and opened A Little Knitty Yarn Shop (Her dream come true) in Downtown Auburn, Washington in 2016. Jen lives in Auburn, Washington with her Husband, Brian and their two kids, Nolan & Piper. When she isn't knitting, you can find her off on adventures with her family in their RV (with yarn in tow!). She has a strange affinity for cake decorating videos (despite the fact that she cannot bake to save her life) and loves Thai food! "I first learned to knit from my mom in the mid-1970s, and although I never learned to crochet from them, I have fond memories of watching my grandmothers and great-grandmothers crochet. I still have some of the beautiful items they made -- lace-edged hankies, doll dresses, and a little 3-dimensional chair made by crocheting together shaped pieces of greeting cards -- it’s so adorable! After attending college and working in both the for-profit world (accountant and computer programmer) and the not-for-profit world (outdoor programs instructor at a county park and volunteer coordinator at a wildlife rehabilitation center), I’m happy to now have the opportunity to work exclusively with the fiber arts. I teach knitting and crocheting in the greater Puget Sound area, and I’m currently developing a line of knitting and crocheting patterns based on my own designs. If you see me knitting or crocheting today, you’ll most likely see me making some sort of container -- I have a small (okay, big!) obsession with purses, bags, baskets and bowls. I enjoy knitting socks and hats, twined knitting, entrelac, felting, Tunisian crochet, knitting/crocheting with beads, and I always have a sweater in the works. My husband, Gene, and I moved from Cleveland, OH to Covington, WA in 1997. We live there happily with our two cats: Wally, a beautiful Sable Burmese, and Felix, a very affectionate, long-haired boy! I enjoy studying the medicinal and nutritional uses of wild plants, cross-country skiing, bicycling, hiking, backpacking, watching movies, and reading.